Hastings City Hall is located at 101 4th Street East, Hastings, MN 55033; phone: 651-480-2350. Photo: Thompson-Fasbender House, ca. 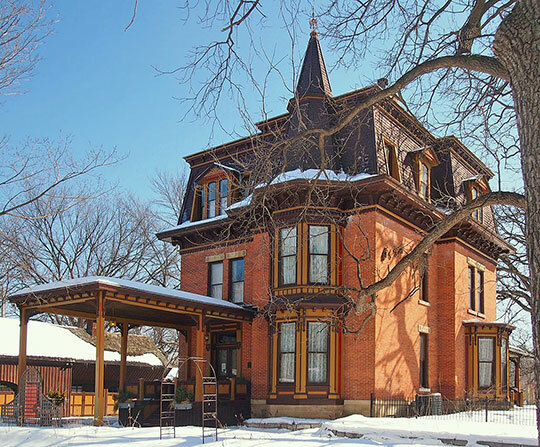 1880, 649 West 4th Street, Hastings, MN. Listed on the National Register of Historic Places in 1978. Photographed by user:McGhiever (own work), 2013, [cc-by-3.0 (creativecommons.org/licenses/by/3.0)], via Wikimedia Commons, accessed May, 2014. Community Profile, Hastings Minnesota, www,ci.hastings.mn.us, accessed April, 2012.